Indian Premier League has seen its fair share of fans breaching the security cordon and getting near their favourite players. On Saturday, it was Royal Challengers Bangalore's Virat Kohli who was surprised by a fan rushing to the ground to get a selfie with him and touch his feet. 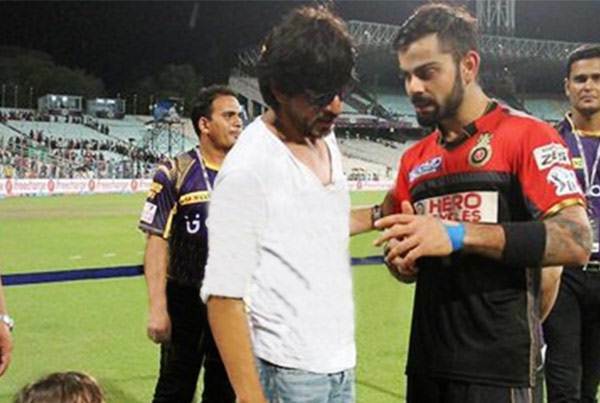 A picture of Bollywood actor and Kolkata Knight Riders’ owner Shah Rukh Khan hugging Royal Challengers Bangalore (RCB) captain Virat Kohli.